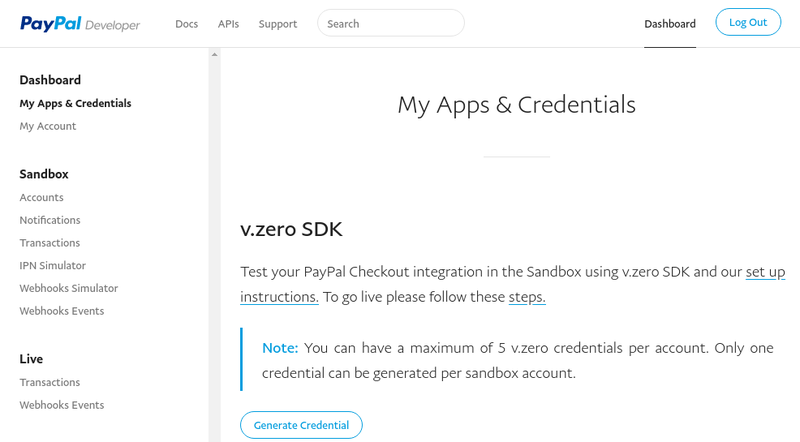 The PayPal Sandbox allows you to set up test accounts that can be used to test the full purchase process in Easy Digital Downloads with the PayPal gateways. No charges actually take place, and you may use it for as long as you like. How do I set up the account in PayPal? To create a sandbox account, visit http://developer.paypal.com and click Login or Signup if you do not already have an account set up. You can log in with your existing PayPal account. Select your country and choose Business for the account type. All other fields can be filled out however you wish. Once the account is created, it will be shown in the Accounts list under the Sandbox menu. How Do I Use This Account? This will open a popup window. Click on the API Credentials tab. You'll see two API keys for Test. Copy those credentials to Downloads > Settings > Payment Gateways in your Easy Digital Downloads admin panel. When using PayPal Standard (the gateway provided in EDD core), the API keys can be used for refunds if you are using version 2.6+. 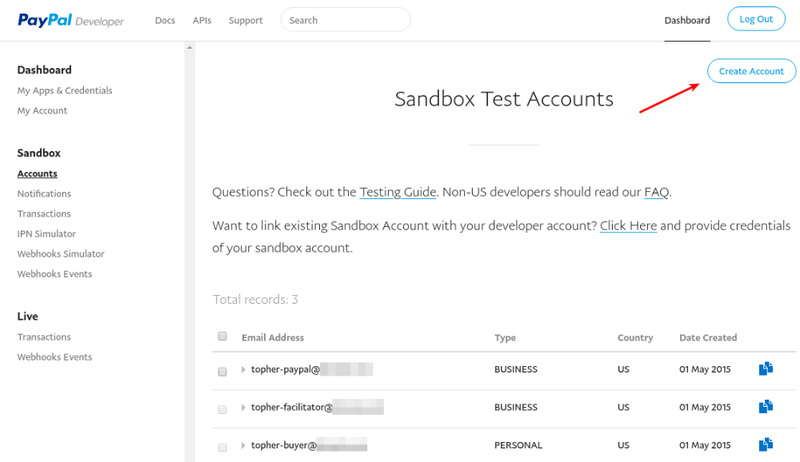 Both the Test Vendor and the Test Buyer must use an email account from the Paypal Sandbox. Otherwise the test will fail. How Can I Be Sure I'm In Testing Mode? To make sure your site is operating in Test Mode, go to Downloads > Settings > General and make sure the Test Mode box is checked. Before you go live with your site, take it out of Test Mode or none of your sales will be valid.